New Games, Minis, and RPG Books! Posted: Sat Mar 03, 2018 8:37 am Post subject: New Games, Minis, and RPG Books! New games, minis, and more! 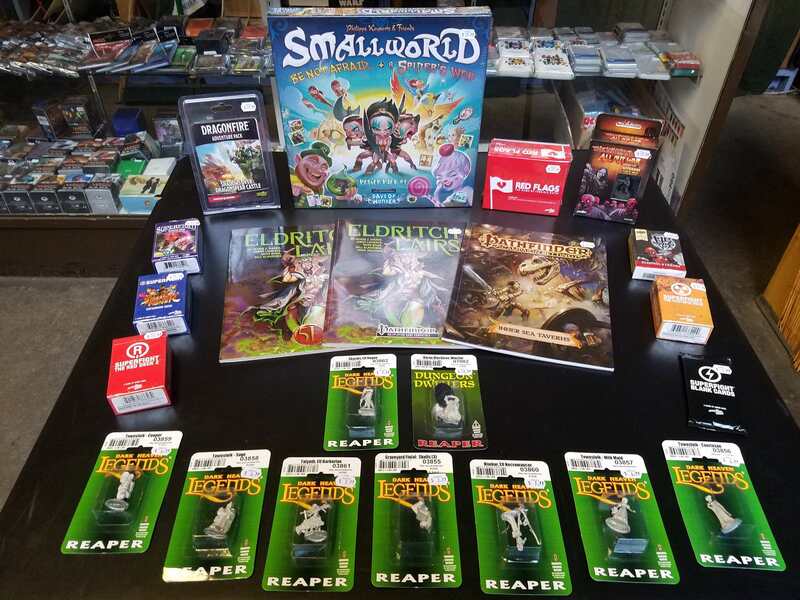 Merlyn's has another fresh batch of new stuff today including the Small World Power Pack #1 Expansion, new Superfight expansion decks, the Red Flags card game, tons of new Reaper minis, and some new adventure books for Pathfinder and D&D 5th Edition. Stop by the store soon to check out all this cool new swag!